There are a ton of Bitcoin games available already, with many more on the way. These range from gambling to any other type of game that uses Bitcoin in some way. Some of these links are old and broken but they will be moved to the bottom and kept here for posterity. Check out BitcoinReviewer for reviews on Bitcoin casinos and gambling sites! Gods Unchained is a new CCG similar to MTG on the Ethereum blockchain! Cards you own and use in your decks are truly yours and can be used in any other gaming platform once they arise. Also a casino with traditional games such as blackjack, slots, roulette, with HOT live dealers! CryptoGames is a cryptocurrency gambling site where players can enjoy playing six most popular casino games. They're offering blackjack, dice, lottery, roulette, video poker and slot to play with nine cryptocurrencies. Besides playing, everyone can invest in house bankroll and earn a share of profits. Users can use built-in exchange to swap their coins instantly. 180+ games available, including popular slots, roulette, blackjack, video poker and HOT live dealers! Rollin is a cryptocurrency-centered Bitcoin dice game, where people can play instantly and anonymously. Rollin has a very competitive house edge that varies from 0.6% up to 1%. Each bet can be verified with their provably fair system. Cruel Poker introduces new OFC poker software, offering cash games for cryptocurrency (dollar games are coming soon). Beta-version of the program is already running. Play games and get coins for achievements! You can also complete offers, take surveys, and watch videos. Turn your coins in for various rewards, including Bitcoin! Wheel of Satoshi is a unique casino-style game designed for those who love the action and anticipation of spinning Wheels of Fortune coupled with bet flexibility! Gambit is a gambling site with many games to choose from, including Rock Paper Scissors, Bitnopoly, and Backgammon! Bitcoin chain games involve buying the trophy and then waiting for the next person to pay more for it so you can profit. The price resets when no one has bought the trophy for a set period of time. Some of them have a low chance of randomly resetting upon purchase. 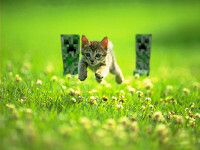 Get paid to play Minecraft! If you join MinecraftCC's server, they will pay you 50 satoshi for every unique block mined and also for every unique block placed. Peerbet is a peer-to-peer gambling site, where you bet against other players and the house doesn't take a cut. You can get free Peerbet credits at Peerbet Faucet and Daily Bitcoins. Dragon's Tale is an MMO with many different games, most of which involve gambling. Mine Things is a browser-based MMO that accepts Bitcoin for purchasing their in-game currency. A world of player-created content. Create islands with stories for others to explore in this F2P and P2P MMO. BetCoin Circle is a fully-featured Casino, along with BetCoin Circle and BetCoin Dice, using Bitcoin for nearly instant payouts. There's a chance to win thousands of Bitcoins in a single game! Build up your town, take part in politics, and go to war! The best part is that you can mine gold with your town's gold mine and sell in-game gold and items for money! Set your own odds and spin the wheel at BitcoinSpin. The wheel seems fixed and inconsistent; with lower odds of winning, the wheel will spin longer on a win and will stop suddenly on a lose. With higher odds, the wheel seems to reverse this pattern. 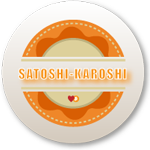 Satoshi's Roulette is a provably fair Bitcoin roulette game that you can start playing instantly! Playtin is a provably fair casino using HTML5 (best on Chrome or Firefox). Some of the games they have are roulette, hold'em, and keno. Seals With Clubs is a Bitcoin poker site. You can also download a Windows or Android client. Play Rock Paper Scissors Lizard Spock with Bitcoin for a chance to win! This isn't a game, but SteamBits lets you pay for Steam games with Bitcoin! You pay for a game and they email you the code. BitVegas is a casino completely built inside of Minecraft. This site has a couple games, such as the popular Minesweeper and scratch games. Coinroll is another provably fair gambling site with instant bets and doesn't spam the blockchain. Place a bet on a distorted image and try to guess what it is to win the pot! Coinrun is a lottery in the form of a Bitcoin racing game. Players send 0.01BTC to the address and when all four slots are filled, the race begins. Win Bitcoin by playing at their casino! They have games such as roulette, baccarat, slots, blackjack, and dice.